If you’re into juicing, chances are you like using juice recipes. Simple or complex, a juice recipe’s main job is to make it easy for you to follow so you can create a fantastic juice. Healthy juice recipes to feed your mitochondria. For us juicing nuts, endless recipes full of glossy pictures of beautiful produce and frothy juices can have the same effect. What Are We Looking for in a Juice Recipe? And, while that’s true, it’s also true we’re looking for a lot more. Which may be why we continue to search. As you might imagine, there’s a huge range in what we’re seeking when we start typing terms like ‘juice recipes’ or ‘juicing recipe’ into our computers. Fresh fruits and vegetables deliver healing nutrition and instant energy when consumed as fresh juices. We might just want a simple list of ingredients. In the current explosion of news confirming the healing power of foods, we might be looking for a remedy for a migraine or some other persistent condition that nothing seems to help with. Regardless of how we’re searching, what we want is a result that we’re hoping a juice recipe can give us. Whether we just want a great drink, pain relief, a quick energy boost or a solution to a long-term problem, the right healthy juices can deliver any and all of these. The fresh fruits and vegetables in juice recipes give us amazing healing power. We get great taste with excellent nutrition – whether it’s one specific recipe or a handful of favorite recipes. Which Juicing Recipe Delivers What You Need? If you’re new to the healing powers of fruits and veggies, it can be a big job to know what you need to solve your specific issue. Which might be why so many people continue to search for juicing recipes. It’s hard to find what we need and want. In this article, we’ll look at a few of the nutrients our bodies need to be healthy and strong, and the fruits and vegetables we can get them from in our juices and the food we eat. We’ll also look at what makes a great juice recipe and some of the power nutrients in juicing ingredients. Then we’ll put it all together with simple instructions for building a balanced, healing delicious healing juice recipe. This will also clear up what juices are and why they are so powerful. And after all, fiber is an important part of a healthy diet. Fiber is important to our health, but that doesn’t mean that everything we eat (or drink) must contain fiber to be healthy. Smoothies are a great example of healthy fiber-containing foods, but they should not be confused with juices. You can blend in all kinds of great ingredients like flax seeds, coconut oil, avocado, and barley grass powder. All great real foods to include in your smoothies. But they are fiber-rich drinks which are not always easily digested. Unlike juices, they make our bodies work harder to get the nutrition they contain. The power and speed of fresh juices where the liquid is extracted from the pulp and fiber of the food is that they are essentially ‘pre-digested’. There is nothing for the body to break down, so fresh juice nutrition can be absorbed directly into the blood stream. This happens sublingually right in the mouth through the cells under and around the tongue. This means the powerful vitamins, minerals, antioxidants, phytonutrients and other health supporting compounds in juices are delivered directly to the bloodstream in seconds. Juices enter the bloodstream sublingually. This is also why many experts recommend ‘swishing’ your juices rather than simply drinking them down. Swishing juice in your mouth allows more of the nutrition to get to the bloodstream directly, rather than having to be absorbed through the walls of the digestive system. It makes sense, too. Fresh living enzymes and nutrients can provide instant support to our entire body through our blood this way. So the next time you hear someone say juices are bad because they don’t have any fiber, remember that’s not really how the story goes. Fiber is good, but that doesn’t mean juices are bad. Juices are just not a good source of fiber. But what juices are good for is getting direct, instant nutrient rich support to your body. Think, for example of how close your brain is to your mouth… Then think of those studies where Alzheimer patients showed improved short term memory after drinking fresh made organic blueberry juice. See? Have you heard of Dr. Terry Wahls, who cured her MS by eating ‘all the colors of the rainbow’? When we eat the proper nutrients and nutrient-dense foods, our bodies convert them into healthy living cells. We reap the benefit of vital, strong, healthy bodies. But without these high nutrient foods, our body cannot produce healthy molecules and cells and so unhealthy molecules and cells eventually lead to disease and suffering. As Dr. Wahls discovered through her own research and personal implementation, the healthy fruits and vegetables which supply our bodies with the nutrition we need come in all the colors of the rainbow. And in many cases, it is these colors which contain the vital anthocyanins and polyphenols and health-giving chemistry our bodies need to thrive. As you’ll see in a moment, the colors of the rainbow actually provide specific and unique healing effects. These nutrients control thousands of minute reactions in our cells and organs and even control how our bodies can absorb and utilize energy in its most basic form. The more we understand about these healthy foods and the nutrients they provide us with, the easier it is to understand why a healthy diet is the first defense against disease. Learning to make balanced juices from recipes which include greens like spinach, kale and lettuce, reds like beets and Swiss Chard, yellows like lemon and pinks like melons and berries gives us access to heal ourselves with delicious home made juice. By balancing many colors and flavors we provide a wide range of these vital phytonutrients to our cells and support healthy cell function which is the foundation of a healthy body. Let’s take a closer look at some of the fascinating powers of the nutrition of the colors of the rainbow found in our fruits and vegetables. The reds of cherries, cranberries, raspberries and strawberries, red apples, rhubarb, red plums, watermelon, guavas and pomegranates, and vegetables like red beets, orange and red carrots, tomatoes, red peppers, radishes, red onions, and radicchio. These pigments contain carotenoids (specifically lycopene), anthocyanins, and betacyanins among others which produce the red, orange and pink colors. Including the carotenoids’ antioxidant properties, these fruits and vegetables support healthy blood vessels, cardiovascular health and cancer prevention. Their potassium, magnesium and Vitamin C support electrolyte balance and regulate blood pressure. The betaine in beets also controls blood sugar, and allyl sulfides in red onions provide additional support to a healthy heart. The blues of blueberries, aronia berries, blue corn, purple potatoes, red cabbage, and plums contain both anthocyanins and resveratrol. The anthocyanins reduce oxidation, improve immunity and protect the liver. Anthocyanins have also been shown to stimulate the activity of other antioxidants int he body. Resveratrol is an antioxidant which has been shown to have anti-aging properties, reduce the risk of Alzheimer’s and protect the heart, as well as reducing oxidative stress and inflammation. The yellows and oranges of summer and winter squashes, corn, yellow sweet and hot peppers, cauliflower, chickpeas, saffron, Swiss chard and sweet potatoes and the fruits like lemons, oranges, grapefruits, cantaloupe and canary melons, pomelo, apricots, pluots, peaches, nectarines and bananas are all loaded with nutrients like magnesium, potassium, Vitamin C and A and a long list of high powered antioxidants and phytonutrients that fight heart disease, protect our vision, (especially the carotenoids, lutein and zeaxanthin). These foods also contain significant amounts of beta-cryptoxanthin, a carotenoid that helps to protect the lining of the lungs and may even help prevent lung cancer. All these yellow and orange foods support healthy cell growth and regeneration, and protect against oxidation from free radicals, protect the body against cancer and other degenerative diseases. The greens of fresh herbs like parsley, mint and oregano, leafy greens like spinach, kale, green cabbage, chinese cabbage, lettuce, beet and turnip greens, and the stalky greens like asparagus, artichokes, broccoli, celery zucchini and hubbard squash. The fruits like green apples, green grapes, kiwis, green pears and honeydew melon. The foods in the green ranges are some of the most potent healing foods with a powerful ability to cleanse and remove toxins from the body – both toxins in our environment and in other foods we eat. The chlorophyll in green foods is a natural detoxifier and deodorizer, cleansing and cleaning the body. The darker the color of green the higher the chlorophyll amount in the food. High in antioxidants and nutrients that cleanse and restore the cells to good health, greens are also a vital source of the minerals calcium, magnesium, and potassium. Green fruits and vegetables are also high in vitamins B, C, E, and K. The dark leafy greens are even high in Omega 3’s those all important fatty acids which control, regulate and sustain the health of the mitochondria that support our healthy cells. In addition to all this, greens support immune function and fight viruses and bacteria as well as alkalizing the body creating an internal environment that is health-giving and stable. There are so many delicious and richly nutritious fresh fruits and vegetables to choose from, it’s easy to find great choices for your juices. And best of all, by consuming these healthy ingredients in fresh juices, you can get a lot more of them into your daily diet. One juice can have as many as five or more servings of fresh fruits and vegetables in it! 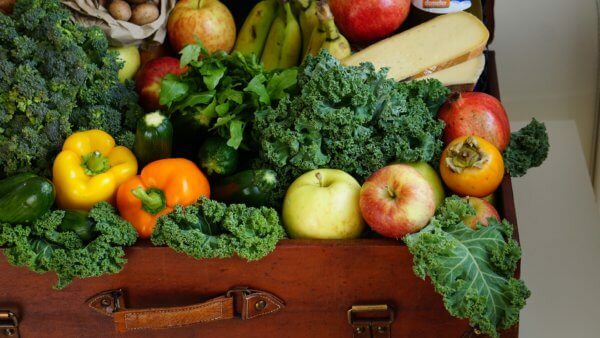 It’s true, Dr. Wahls ate nine plates of vegetables and fruits every day to heal from MS, but even by simply including one fresh juice in your daily routine you can radically improve your daily nutrition. Especially if you are not eating five or more servings of fresh fruits and vegetables every day. Get recipes with complete nutrition data and detailed information to heal yourself with juices. 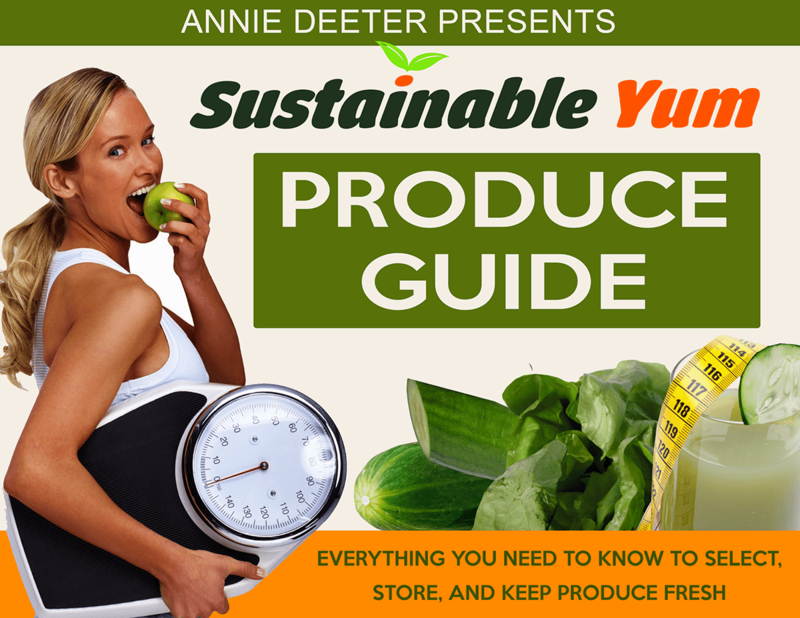 Inlcudes detailed health benefits of 27 ingredients and bonus produce guide on how to select, store and use 33 fruits and vegetables. We will never share your information with anyone and will not spam you. There is another change we must make if we are serious about improving our health, and that is the reduction of refined sugar in our diets. One of the biggest changes in the modern human diet over the last several centuries is the massive increase in the consumption of refined sugar. It is almost difficult to imagine how big a change we have undergone. But the numbers don’t lie. In the 1700’s the average person was eating about 10 pounds of sugar per year. That is approximately 15 times less sugar than the average western diet contains today. Or, to put it another way, by the year 2000 the average westerner was eating about 150 pounds of sugar a year. That’s almost a half pound of sugar a DAY. When this is combined with a dramatic decrease in healthy foods like green leafy vegetables, cruciferous vegetables, or any of the other nutrient dense, living foods, then the body’s ability to create healthy cells is further compromised and chronic disease is the result. This makes it fairly easy to see why diabetes is on the rise and why other critical diseases are as well. So much sugar disrupts all the major systems of the body, not the least of which are our cells and the mitochondria that power them. And, with so many empty calories, we have no appetite left for the foods which can actually power our cells and all the systems of our bodies. By reducing our sugar intake, which we can do by reducing refined foods, flours, pastries, breads, and other simple carbohydrates that are instantly converted to sugar in the bloodstream, we can give ourselves a big head start to improved health. The new FDA labeling rule will also help by bringing the hidden added sugar in processed foods out of the closet. But until we add back in the missing nutrients, we’re still not going to be able to achieve improved health. So now that we’ve looked at the phytonutrients found in the rainbow of fresh fruits and vegetables, let’s take a quick look at the major nutrients – vitamins and minerals which are also found in these fresh foods and the juices we make from them. Fast being recognized as the clear front-runner when it comes to maintaining excellent health and fighting free-radical damage, Vitamin C is critical to good health. It supports optimized immune function, protects the eyes by maintaining healthy retinal tissue and clear lenses and protects the eye from free radical damage. It plays a vital role in the synthesis of collagen which helps skin stay supple and smooth and builds healthy bone. Its antioxidant properties protect the skin from free radical damage, inflammation, and irritation. It may even help reverse UV damage. Bone healing and bone density also rely on Vitamin C’s collagen production to build bone, improve calcium absorption in bones and activate the cells which build bone. Not only does vitamin C reduce the risk of osteoporosis and help increase bone density in older people, it also helps heal broken bones. In studies of patients with bone breaks, those who increased Vitamin C intake healed faster. Vitamin C is required for the production of serotonin in our brains. This important neurotransmitter hormone plays a critical role in a variety of systems in our bodies. Overall, Vitamin C is a powerful antioxidant providing potent healing properties for all the major systems of the human body from fighting infections to maintaining healthy vision, stable nervous and immune systems, strong bones and supple healthy tissues inside and out. This fat-soluble vitamin is a member of the vitamin K family of chemicals known as quinones. Vitamin K1 aids in coagulation of the blood, particularly in the liver where it plays a role in blood clotting factors important to proper liver function. Vitamin K1 is also used by the body in the production of K2, which is important in dental, periodontal, heart, hormonal, kidney, bone and brain health. How much K1 is converted to K2 by the body is not fully understood yet, in fact, until 2007, the USDA did not even distinguish between the different types of vitamin K.
But one thing is clear, it is a vitamin that in its various forms is critical to good health. This fat-soluble antioxidant nutrient is absolutely essential for vision health and many other important functions in the body. In its active form (animal-derived foods like liver, fish, eggs, and butter) it is usable by the body directly. In its carotenoid forms, Vitamin A must be converted by the body into its active form for use. The carotenoid form’s top sources include carrots, sweet potatoes, spinach, romaine lettuce, apricots, sweet red peppers, winter squash and cantaloupe and mango. Vitamin A is well known for its skin healing properties. It is often prescribed and applied topically to treat acne and a wide range of other skin concerns. It is also well documented for its ability to fight wrinkles and to reduce the signs of aging when applied topically. But it works on the inside, too. By consuming adequate quantities of vitamin A, we support all the functions that keep our skin glowing and healthy in appearance and structure. Its fat-soluble antioxidants nourish and protect the skin from oxidative stress and environmental damage from UV, pollution, and stress. Vitamin A is also a juicing power nutrient, like Vitamin C, and can be plentiful in fresh made vegetable-fruit juices. It’s easy to identify many recipes with several hundred times the daily values for vitamin A, particularly those including carrots, sweet potato, spinach, kale, dandelion, Romaine lettuce, parsley, beet greens and other Vitamin A rich ingredients. Vitamin E is one of the most powerful healers for our skin. Its rich fat-soluble antioxidants protect, nourish and support a glowing and healthy complexion. In fact, Vitamin E is the most abundant nutrient in healthy skin. It is essential for maintaining hydration and reducing inflammation, flaking and irritation, and by consuming foods rich in Vitamin E you protect your skin from environmental stresses such as pollution, UV exposure and free radical damage. Topical applications of vitamin E are also beneficial to the skin. Another fat-soluble antioxidant, Vitamin E is actually a group of 8 different compounds known as “tocochromanols”. They contain two groupings, one of tocopherols and one of tocotrienols. The most well known and well studied of these is the alpha-tocopherol, which is proven to prevent free radical damage (a major cause of vision loss). Top sources of vitamin E include sunflower seeds, spinach, Swiss chard, turnip greens, asparagus, beet and mustard greens, chili peppers, broccoli, bell peppers, almonds and kale. Calcium is everyone’s idea of the bone and teeth mineral, but the truth is, too much calcium without magnesium is dangerous for your heart and your health. So make sure you get both. Otherwise, calcium builds up in the bloodstream and can increase high blood pressure and heart attack risk. Vitamins K2 and D3 are also critical to proper calcium absorption for bone health, so be sure to get plenty of these two bone healing vitamins as well. Essentially, calcium requires magnesium, K2 and D3 to enter the cells, so without these nutrient partners, it cannot heal bones and teeth. Your body makes Vitamin D from sunlight, so try to get healthy (early and late in the day) sun exposure as often as possible. K2 is synthesized in your body from K1. K2 is also found in hard and soft cheeses, egg yolks, butter, chicken and fermented soy foods, among others. Calcium can be found in significant amounts in many juicing ingredients, particularly the green leafy vegetables including collard greens, spinach, turnip greens, beet greens, bok choy, Swiss chard, and kale. Magnesium content in foods relies on magnesium-rich soils, and unfortunately, many soils subjected to long term modern agriculture are seriously depleted of magnesium. Magnesium is critical to bone health for its ability to open up cellular pathways for calcium – without which, your bones won’t get any of that calcium you take in. But magnesium does a lot more than manage and control how calcium can be utilized in the body. Magnesium is involved in over 700 enzyme processes in the human body. It’s a precursor for neurotransmitters like serotonin, regulates heartbeat, activates muscle function (relieves cramping and heart arrhythmia), and is a building block of RNA and DNA. It’s also important for reducing inflammation and in proper metabolism, including digestion of proteins, which allows us to absorb nutrients and minerals. For the best sources of magnesium, look for bio-dynamic, organically grown produce where magnesium is not stripped from soils. These will offer high levels in all the leafy greens including spinach, Swiss chard, beet greens, and in summer squash. Because most Americans are sub-clinically deficient in magnesium, (which, it turns out, can wreak havoc with our health) consider including topical applications of magnesium. Some good examples are Epsom salt baths and foot soaks or topical sprays. This is particularly helpful for those who are sensitive to magnesium’s laxative effect. (Think milk of magnesia). Magnesium is critical for removing excess calcium (calcification) from the blood vessels, which can lead to heart attack or stroke. But magnesium plays other critical roles in protecting the heart. Magnesium regulates heart beat. Persons deficient in magnesium can suffer heart palpitations and irregular heartbeat which can cause severe anxiety and can lead to more serious heart conditions. When magnesium levels are adequate, these heart palpitations are dramatically reduced or even completely disappear. Magnesium also relaxes the blood vessels and helps to normalize blood pressure. Like potassium, magnesium is critical to regulating healthy blood pressure. In fact, sub-clinical deficiency (which is prevalent the world over) can have a serious impact on cardiovascular health. Topical magnesium, epsom salt baths, and magnesium-rich foods can all contribute to improved magnesium levels. Potassium is perhaps best known for its ability to control and regulates blood pressure. This blood pressure controlling effect is related to several of potassium’s actions in the body, including support of proper kidney function. Potassium reduces blood clotting and improves blood vessel dilation and expansion, both of which aid in controlling or lowering blood pressure. The Dietary Approach to Stop Hypertension trials demonstrated that increasing daily intake of fresh fruits and vegetables high in potassium significantly reduced high blood pressure. In these trials, participants who consumed 8 to 10 servings of potassium rich fresh fruits and vegetables per day experienced significant drops in blood pressure. Potassium not only helps to control blood pressure, it also powers the beating of the heart and helps to keep the cardiovascular system healthy. In our cells, potassium regulates the functioning of the cell membrane and the fluid levels of the cells. Potassium helps our muscles contract, our nerve transmit signals, and our bodies maintain a healthy pH balance. Other important minerals found in an abundance in fresh vegetable and fruit juices include copper, iron, manganese, phosphorous and selenium. All of these minerals, vitamins and phytonutrients found in juicing ingredients provide us with plant-based forms of nutrition which are critical to our good health and longevity. Fresh juices give us plant based minerals and vitamins in bio-available form that our cells can put right to work. While you might not know it by reading the mainstream press, the debate about organic and healthy is over. Because the research is in and it’s conclusive: nutrition and health are improved when organic is the rule. Not only is this true, but the reverse is also true. Studies conducted in Sweden found that families who ate conventional foods (non-organic) had significantly higher levels of pesticides and environmental toxins in their blood and urine than the families who ate organic. After test results were in, those families eating conventional foods in this study were instructed to switch to organic. Their pesticide and toxin levels in blood and urine decreased significantly within weeks of making the change. The study participants chose to remain ‘all organic’ in their eating habits after the testing because it was clear they and their children were healthier that way. The great news about this study is that it proves that toxins in the body can be greatly reduced in a short period of time by removing foods grown with chemicals from the diet. So even if you have not been eating or juicing all organic, don’t worry, just start now, and you’ll be on your way to improved health fast. Many more studies have proven the benefit and importance of specific fresh fruits and vegetables and have established, as part of the study that organic fruits and vegetables provided significantly higher nutrient content and better results than conventionally grown varieties. Toxic load is a newer term but it’s an important concept that applies especially when you’re juicing fresh fruits and vegetables. You don’t want to make the mistake of increasing your toxic load with juices. But there’s more to healthy produce than simply buying organically grown fruits and vegetables. You also want to buy the ripest and freshest produce you can, because ripeness and freshness affect those all-important phytonutrients that deliver the health benefits you’re looking for. Antioxidants and cancer-fighting compounds are now recognized to be highest in fresh-picked ripe produce. Locally grown fruits and vegetables can often provide the best options, particularly if you live in a community with market gardeners and specialty produce farmers supplying local farmers markets and roadside stands. Just be sure to ask them about their growing practices if they are not ‘certified’ organic. Many small growers follow organic practices but do not have the expensive annual certifications. Ask, and visit the farms if possible. Full flavor and bright colors are indicators that the phytonutrients are at their peak. Another benefit of organic farming and gardening is that the quality of the groundwater in your local community is improved. Fewer chemicals in local agriculture mean fewer chemicals in the water supply. In many parts of the country, toxic agriculture chemicals are polluting rivers, streams lakes, and groundwater. The trick to making great juices is all about balance. Balancing the sweets with the bitters and sharp greens, and including enough of the gentle mellow mid-range flavors to keep it all working in harmony. One great aid to great juicing flavor is the lemon/lime citrus group. Low in sugar and large on flavor, they help take the bite out of greens, herbs, and spices. You can add lemon or lime to just about any juice for a brighter, zestier drink. Just as you include a little salt in pie crust or other sweets, balancing the extremes doesn’t mean avoiding them. You want some of the organic healthy salts from celery, Swiss chard or beet greens, but you have to balance those with the coolness of cucumber or Romaine lettuce, the sweetness of carrot or sweet potato and the bright tartness of lemon, pineapple or green apples. By far the largest contributor of sugars to fresh juices are the fruits, particularly grapes, cherries, melons, oranges, pineapples, grapefruits, and apples. In part, pineapple and melon tend to add more sugars because we tend to use larger amounts of them in juices. Cantaloupe or honeydew melon is often juiced alone as pre-workout drinks to help reduce muscle soreness, for example. But fruits are naturally high in fruit sugars, which is one reason to pay particular attention to how much of them you use in your juices. This doesn’t mean you should not use them, but it does mean you want to limit how much you include in your juices. It also means that eating the fresh fruit can reduce the instant sugar load a fresh juice without the fruit fiber delivers. Their sugars are balanced and digested differently when eaten as whole food rather than in juices. In general, when making juices for increased phytonutrition, including fruits is important because of the specific nutrition they offer, just be sure you can tolerate the sugar in juice form. If you are pre-diabetic or diabetic you will need to pay particular attention to limiting the amount of fruit sugar in your juices. A few of the balancing flavors for increased juice volume and a mild flavor are bok choy, celery, cucumber, romaine lettuce and summer squash. Jicama is an excellent juicing ingredient for its mild slightly sweet flavor which is also very low in sugar. Its high soluble fiber content, known as oligofructose inulin is a prebiotic digestive aid which stimulates the growth and activity of beneficial organisms in the digestive tract. This means it does not metabolize into simple sugars. It also makes a lot of juice – one of the top ingredients for high volume juicing. High in vitamin C, it supports collagen production, fights infection, cancer, heart disease and stroke and supports a strong immune system. It is also high in magnesium and potassium for significant benefit to the heart, respiratory and nervous system. Celery is another excellent balancing and mellowing ingredient with the added benefit of being a high-volume juice ingredient. Celery’s natural sodium is actually a benefit for the digestive system, as are its pectin-polysaccharides which aid in protecting the stomach lining, regulating stomach secretions and decrease the risk of gastric ulcers. While celery can be somewhat salty in the juice, young mild celery can be very balancing. Taste the celery you select for juicing and be sure not to keep it too long – it gets saltier with age. Romaine lettuce is excellent as a soothing ingredient with surprisingly potent nutrition that is often under appreciated. Most people think of the lettuces as empty water calories, but they are not, and Romaine is the prince of lettuce with high levels of vitamins A and K, outstanding folate, magnesium and pottasium, well balanced B vitamins and higher levels of Omega 3 fats than many vegetables! It’s also low in sodium – with less than one third the sodium of green leaf lettuce. Basil is another excellent juicing herb which offers antioxidant protection. It is high in vitamins A and K help protect against oxidative stress, heart attack and stroke. Its anti-bacterial properties make it a source of protection against e-Coli and other pathogens and common foodborne bacteria. Its lutein and carotenoids help to protect the eyes. A vegetable wash of 1% essential oil of basil or thyme can reduce the risk of Shigella bacteria in fresh produce, so consuming basil or thyme daily can act as a preventive to this bacteria which causes cramping, digestive distress and diarrhea. Oregano has a long reputation for providing long-lasting health. High in vitamins A, C, E and K, it’s health benefits go far beyond its vitamin content. It is highly antioxidant – 42 times that of apples – and also anti-bacterial. Oregon, a small but potent addition to your juicing recipes. Imagine the amount of benefits you can get with this! It has been found to be anti-inflammatory. It’s anti-microbial, fungal and bacterial properties are well documented, and its carvacrol and thymol essential oils have been shown to kill Listeria and MRSA’s which were unaffected by antibiotics. Oregano oil compounds have also been shown to arrest the growth of cancer cells in various types of cancer. Fresh organic herbs are the best choice for juicing herbs, and many common culinary herbs are easy to grow on windowsills or in backyard gardens. Many of the most common culinary herbs we use are members of the mint family – thyme, oregano, basil, sage, rosemary, savory, lemon balm (Melissa), hyssop and lemon thyme, for example. Herbs such as parsley and cilantro are members of the celery family of plants, and grow as annuals, perennials or biennials depending on your climate zone. All of these are generally available as fresh herbs in the local produce section of your grocer or health food store. Others, like ginger and turmeric, are tropical to semi-tropical plants whose roots are used for their culinary and curative powers. In all cases, fresh herbs should be organically grown to avoid pesticides. In most cases you will want to use fresh herbs when juicing. This is particularly true of the tender green herbs like basil, lemon balm or mint. A leaf of any of these is a lovely garnish to a fresh juice, too. However, adding powdered ginger, pumpkin pie spice (for its ginger, mace, allspice, and cinnamon) or other dried spices is also an excellent way to add nutrition and flavor to juices. Spices have remarkably high levels of minerals and some vitamins as well as other specific healing properties. Try a sweet potato, Romaine lettuce, and golden beet juice with a pinch of pumpkin pie spice for a tasty and nutritious experience. Whenever we talk about pain and juicing, one ingredient that can always be counted on to relieve pain is turmeric. We add a lot of fresh turmeric to our daily juices around here, but if you want a standout juice that’s all about turmeric delivery, my favorite is still Vani Hari’s Turmeric Cooler. This juice is highly palatable, dare I say, delicious, and it works like a charm on all kinds of pain. The cucumber combined with the natural sodium of the celery delivers hydration directly to the cells. This juice is a great internal joint cleansing juice, helping the cells to release built up uric acid crystallization in the joints. Recommended for arthritis sufferers. The gingerols in the ginger have been clinically proven to reduce both osteo and rheumatoid arthritis pain. Heinerman’s famous juice ingredients health benefits lists celery as curative for exema and psoriasis, and cucumber as a skin tonic. The ginger is also an excellent anti-nausea and smooth muscle relaxer, helping to calm and ease the digestive tract. Limonin in the lemon provides powerful cancer protection and the high Vitamin C in all citrus is a major factor in reducing arthritis and joint pain risk. Low in sugar and high in healing power, this is a great juice to make a regular part of your diet. Wash celery ribs and cucumber. If cucumber is waxed, peel it. Scrub the ginger and peel the lemon. Slice cucumber lengthwise into strips that will fit into the juicer chute. Juicing Order: start with the ginger to make sure all of it gets pushed through and into the juice, then add cucumber, lemon and finally, the celery. This juice is a great internal joint cleansing juice, helping the cells to release built up uric acid crystallization in the joints. Recommended for arthritis sufferers, the gingerols in the ginger are clinically proven to reduce both osteo and rheumatoid arthritis pain. The ginger is also an excellent anti-nausea and smooth muscle relaxer, helping to calm and ease the digestive tract. Heinerman’s famous juice ingredients health benefits lists celery as curative for eczema and psoriasis, and cucumber as a skin tonic. Cramping from excessive exercise usually points to dehydration and a need to restore electrolyte balance. So drinking a fresh juice with potassium, magnesium, calcium, sodium and chloride to restore electrolyte balance. Cucumbers will also serve as a major re-hydrator. Avoid cramping after a heavy workout by making and drinking a pre-workout drink of 1/2 of a small to medium sized cantaloupe. Just cut it in quarters, remove the rind and seeds and juice it up. So delicious! Add tart cherries for added anthocyanin power. Non-exercise related cramping, especially ‘restless leg syndrome’ – for this kind of muscle pain the best remedy is to increase magnesium intake. (Most of us are chronically mildly deficient and that deficiency plays havoc with our health). Take epsom salt baths and soaks or go have an epsom salt float in a float tank – these are proven pain relievers as well. A great magnesium rich juice is Magnesium Master with 90mg of magnesium per 8-ounce serving. Beet juice helps control blood pressure and fights inflammation, betaine also helps prevent gallstones. Beet greens also help to detoxify the blood, improve cholesterol levels and naturally slow the aging process. Limes, like lemons, alkalize the body and support liver, kidney and gallbladder health. Lemon alkalizes the body and increases peristalsis to keep the digestive system moving. It also supports a healthy kidneys, gallbladder and liver. Pumpkin pie spice generally contains cinnamon, clove, nutmeg, allspice, ginger and sometimes cardamom. These spices contain many healing properties including: eugenol in nutmeg and clove, which soothes pain; anti-inflammatory properties of cinnamon. Nutmeg is also antibacterial and ginger improves circulation, relieves joint pain and soothes digestion. Sweet potatoes provide highly bio-available beta-carotenes which are superior antioxidants for preventing cancer and the symptoms related to aging. Swiss chard, like beets and spinach is among the most nutrient dense foods on earth. High in vitamins A,C and E important antioxidants. Chard is being studies for its role in keeping the pancreas and liver healthy. Zucchini’s polysaccharides demonstrate insulin regulating and diabetes preventive abilities in animal studies. Its vitamin and mineral content protect eyes, improve digestion and blood sugar regulation. Trim and scrub the chard, zucchini, sweet potato, beet and beet greens removing wilted leaves, dirt and dried ends, blossoms, etc. Cut beets, sweet potato and zucchini into lengthwise strips for masticating juicer or chunks for centrifugal juicer. Cut stems of beet greens and chard into chunks for centrifugal juicer or leave intact for masticating juicer. Wash the lemon and cut in half for hand juicing or into chunks with or without peel for putting through the juicer, as you wish. If juicing the lemon by hand at the end, add the lemon juice before adding the pumpkin pie spice and then stir or shake well. Begin by juicing the beet greens and chard. If juicing the lemon in the juicer, juice it next, followed by the zucchini, sweet potato and beet. Pour the juice into a clean glass and add the pumpkin pie spice. Stir well or cap and shake. Wrap beet greens and chard leaves into small bundles around stem chunks or chunks of zucchini to increase juice yield. Then juice the remaining ingredients, starting with the rest of the zucchini, then the lemon, sweet potato and beet. Pour the juice into a clean glass and add the pumpkin pie spice. Stir well or cap and shake. Headaches are often a result of dehydration and so the Joint Pain juice above is an excellent way to combat headaches. But you can also add some dark leafy greens including Swiss Chard and beet greens to boost magnesium levels, which will also help relieve headache symptoms. Another excellent ingredient to fight a headache is pineapple. The bromelain in pineapple is a major anti-inflammatory which can help to reduce the inflammation causing the headache. Other potent anti-inflammatory ingredients include kale, Romaine lettuce, Swiss chard, yellow peppers, carrots, cucumbers, onion, spinach, olive and avocado oils. Cucumbers are Not Just for Your Puffy Eyes, They’re potent anti-inflammatory ingredients too. You can learn more about inflammation and the inflammation factor of foods from Monica Reinagel at her site InflammationFactor.com. Like headaches and muscle pain, back pain is often a result of inflammation or electrolyte imbalance and deficiency, so these same juices are helpful for back pain as well. Bloating is an uncomfortable sensation that is associated with excess fluid in the intestines, but is really a sign of the body holding on to fluids to prevent dehydration. So the first thing you want to do is reduce liquids that dehydrate your body like coffee, and add more healthy liquids so your tummy can stop trying to hold on to water and relax. Ingredients that can aid in reducing the symptoms of bloating include melons, lemons, celery, lettuce, cucumber, jicama, and apples. For soothing the lining of the stomach and intestinal walls make a juice with celery and lemon and Romaine lettuce that will cool and hydrate the intestines and offer relief from the feeling of bloat. Another excellent juice for bloat is cucumber, all by itself or with a handful of Romaine lettuce. You can add lemon if you wish, but it is not necessary for relief. A juice of celery, Romaine lettuce, cucumber, lemon and a little bit of ginger will soothe the stomach, hydrate the intestines and have a mild diuretic effect to help release the stored up fluid the body is holding on to. Remember that high salt can cause water retention, and reduce added salt and processed foods, but don’t worry about the natural salts in celery and other vegetables as they will help to balance the intestinal tract. Ginger and aloe vera are both very well known for their ability to heal the digestive system and can be added in small amounts to juices to help with bloating and discomfort. If bloating and swelling is in part due to high heat and humidity, soak in a tub of tepid water with 1 cup baking soda and 1 cup epsom salts to help rehydrate the body gently through the pores of the skin. Bathing is generally dehydrating but with baking soda and epsom salts, it is hydrating and restores electrolytes. The big killers in today’s world are heart disease and cancer. Heart disease includes all of the ways in which the cardiovascular system can become impaired and cause a crisis of health from heart attack to stroke, to CPOD and more. The long-standing research indicates that a lack of sufficient unrefined vegetable consumption is the root cause of elevated rates of heart disease and cancer in the modern world. The chart is admittedly dated, but as Dr. Fuhrman points out this is because the data needed for such a comparison is no longer available. Today’s modern world has been overtaken by the modern western diet and more traditional dietary habits of the world’s peoples are vanishing. So don’t look for modern country names here, you won’t’ find them. But back in the mid 20th century when the data was collected, the dietary habits of the listed countries conformed to the data shown. The message is clear: eat more vegetables for a healthy heart. And, tied to that healthy heart is healthy blood pressure, because cardiovascular health includes the vascular system. In fact, new research indicates that the naturally occurring nitrate content of green leafy vegetables plays a critical role in vascular health. Prescribed nitrates have been used for heart attack patients for more than a century- and it is well known that nitric oxide levels play a critical role in vascular health. New research indicates that by increasing consumption of high nitrate vegetables, the body can repair and maintain blood vessels more effectively than modern surgeries, which, while they can provide temporary relief to clogged arteries, can also proliferate cell production leading to more restricted blood flow. So eating greens for cleansing and detox is wonderful, but they are also critical for controlling blood pressure and vascular health. Make sure your nitrates are coming from the structure of the plants which have synthesized the nitrate from the soils and not from fertilizer residues which may linger on the outsides of plants. Fertilizers may contain other toxic chemicals that can harm our health. The nitrates we are looking for will be converted to nitric oxide in our blood and be used by the body to repair damage to blood vessels and to remove blockages which can constrict vessels. The best vegetables to add to juices and to your overall diet for higher nitrate consumption are dark leafy greens and root vegetables like beetroot and turnips. Other high nitrate vegetables include celery, spinach, lettuces, carrots, and radishes. Potassium is a major player when it comes to controlling blood pressure, and providing the heart with the strength it needs to pump effectively. Magnesium is critical to maintaining a steady and regular heartbeat and supporting smooth muscle function, so be sure to include fruits and vegetables high in potassium and magnesium to support your healthy heart and cardiovascular system. Perhaps most well-known for its skin supporting properties is the cucumber. Sliced cucumbers over the eyes to reduce puffiness and dark circles is just one way cucumbers help our skin. Drinking cucumber juice provides caffeic and ascorbic acid that relieves water retention to reduce puffiness. Cucumber juice hydrates the cells directly which helps to moisturize the skin from the inside out. Get gorgeous glowing skin with juices made from beets and carrots. The alpha and beta carotenes in carrots (vitamin A) soothe and restore skin tone evenness and provide excellent antioxidants protection. Carrots are also high in vitamin C, folate, potassium, manganese and zinc to help support collagen production and cell detoxing which clears the skin of impurities. The betaine in beets helps to keep the liver healthy so impurities are carried out of the body. Both carrots and beets fight free radicals and inflammation helping to soothe irritated skin. The alpha and beta carotenes in carrots also give the skin a warm glow – in fact, if you drink a lot of carrot juice, you’ll notice that your skin actually takes on a slight orange pigment. Fight free radical damage with green juices, particularly those made from spinach, Swiss chard or beet greens. These powerful antioxidant greens nourish and cleanse the cells and fight premature aging. High in vitamins K, C, and E, they offer both fat and water-soluble antioxidant protection to the skin. Regulating blood sugar can be tricky business, especially for the diabetic and prediabetic. Often juicing must be monitored carefully for those with these conditions to be sure to keep sugars low and nutrition high. Because juices do not contain the fiber that can help slow sugar absorption during digestion, it is important to keep sugar content low. Less fruits and more vegetables is a good place to start. Use lemons and limes to adjust flavors rather than apples or other fruits. What you should know about blood sugar issues is that magnesium plays a critical role in regulating blood sugar and blood pressure, and most diabetics are magnesium deficient. Even sub-clinical deficiency can cause blood sugar issues, so select vegetables with high magnesium content like spinach and chard. Another great choice is grapefruit because it contains the antioxidant which appears to reduce the risk of insulin resistance. If you add grapefruit, only use in mid-afternoon juices, and don’t use more than one per juice. 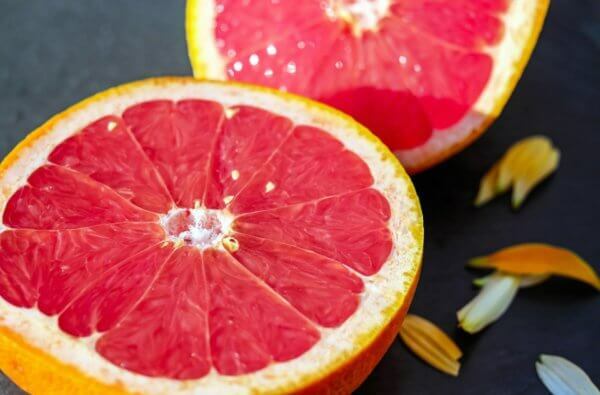 Eat grapefruit to get the fiber along with the sugars for better blood sugar management. Often increasing fiber from foods such as legumes can help to slow blood sugar release in the digestion, so it might seem juices are counter-intuitive. But, healthy vegetable juices that are low in sugar are still a great choice so long as you monitor the sugar content. Cinnamon is well known for its blood sugar regulating effects, and can be added to fresh juices and/or foods to aid in blood sugar regulation. Another critically important consideration for blood sugar regulation is the reduction of inflammation and oxidative stress which can lead to these issues. High omega 6 fats and too little omega 3 fats and CLA can be a major contributor to high blood sugar conditions. This is a great reason to add flavored fish oil with high omega 3 to fresh juices as a regular practice for better health. With all the excitement about the colors of the rainbow in fresh fruits and veggies and the health benefits of all those color-producing compounds, it’s surprising that more people don’t know the power of green vegetables. The green in green veggies comes directly from chlorophyll, which is not only a great healer but also an exceptional cleanser for the body. Chlorophyll cleanses the blood and supports and cleanses the liver, removing and flushing toxins out of the body. It prevents mutations of DNA caused by carcinogens, and repairs and supports the cardiovascular system, particularly the blood vessels. All of this makes it pretty clear why we should be eating our leafy greens – particularly our dark leafy greens. Chlorophyll is structured just like our red blood cells, in a “porphyrin ring”, except that in the center of the chlorophyll ring there is an atom of magnesium instead of the iron atom found in our red blood cells. Chlorophyll’s magnesium atom will be transformed into hydrogen when the green plant is cooked or exposed to acids. At the moment of the transformation, the green color will go from bright vibrant green to an olive or grey-green color. New research shows that brief steaming or sauteing can actually increase chlorophyll absorption in some foods, but care must be taken not to cook them so long their color changes. Cabbage is a good example of a food which can provide more chlorophyll with brief steaming. Young plants are exceptionally high in chlorophyll which is why the cereal grasses are at the top of the list, especially in Spring. Next are all the green fruits and veggies. These are not sorted in order of their chlorophyll concentrations: asparagus, bell peppers, broccoli, brussels sprouts, green cabbage (all types), celery, collard greens, green beans, green grapes, kale, leeks, green olives, parsley, green peas, romaine lettuce, sea vegetables, spinach, Swiss chard, and turnip greens. While turnip greens are not suitable for fresh juices being too hard on the digestion as a straight juice, all the others make excellent juice ingredients. Barley and wheat grass have the highest levels of chlorophyll followed by spinach and kale. Historically, chlorophyll is best known for its cancer-fighting properties. It is a super antioxidant and can stop the mutation of DNA in genes caused by such carcinogens as aflatoxins. Further research has demonstrated that aflatoxin caused damage to DNA can be reduced by 55% by consuming green chlorophyll-containing foods. Prevention and treatment of liver, skin, and colon cancer are all being investigated in relation to chlorophyll consumption. As if all this weren’t enough reason to increase your chlorophyll consumption, new research suggests that shows that because chlorophyll enters the mitochondria of the cell as a metabolite, it enables the mitochondria to capture sunlight energy. This photoenergizes the Krebs cycle so that it produces significantly more ATP. ATP is the energy currency of our cells and our entire body – so what this means is that chlorophyll allows us to capture or utilize sunlight energy directly in our bodies! This new research is only just beginning to be understood and expanded, but it looks as though chlorophyll activates our mitochondria to utilize sunlight as an energy source. That’s pretty amazing! Now, eating your greens just took on a whole new meaning, right? Here’s a short list of a few of the most commonly juiced ingredients and their healing benefits to get you started building your own healing juice recipes. These are so simple and easy to use that anyone can start by creating a great juice just with this handful of ingredients. Apples are tonic to the body and stimulating to the liver. This means they have no toxic effects in general. Apple phytonutrients and pectin work to lower cholesterol and regulate blood sugar and even prevent blood sugar spikes. Apples are diuretic, laxative and detoxifying. Various phytonutrients in apples have been tested and found effective at inhibiting cancer cell growth in many types of cancer. Apple pectin was used successfully to reduce Cesium-137 in over 160,000 children post-Chernobyl. Apples have been clinically proven to aid in weight loss and in removing heavy metals and other toxins from the body. Polyphenols found in apples also protect the brain and fight gum disease. Carrots provide an excellent anti-oxidant effect that protects the cardiovascular system. Research shows just ½ cup of carrots daily significantly reduces the risk of cardiovascular disease. Carotenoids in carrots greatly reduce the risk of glaucoma and cataracts and help maintain healthy pressure within the eye. Juicing carrots provides a concentrated boost of the powerful nutrition in carrots that can provide important antioxidant and inflammation reducing support throughout the body. They improve eyesight, cleans the kidneys, balance blood sugar and relieve congestion. Carrot juice has also been shown to be protective against colon cancer and effective at fighting Leukemia. Celery is well known for its support of the small intestine and stomach with bio-available organic sodium. Indeed, research has shown celery can actually prevent or reduce the formation of ulcers. Its anti-inflammatory and anti-oxidant properties support our cells, blood vessels and organs, helping to reduce stresses and remove toxins. Celery also fights infection, including urinary tract infections with its anti-microbial properties, aids in weight loss and improves digestion. Celery seed and leaf extracts have been tested and proven to reduce cancer and Alzheimer risk, eliminate arthritis symptoms, lower cholesterol and reduce pesticide and dioxin toxicity. Celery has also been used effectively to reduce the toxic effects of certain chemotherapy drugs. Cucumber nourishes and hydrates the cells and flushes toxins from the body. It’s excellent for healthy skin. Cucumbers are a great source of vitamin K, magnesium and potassium and all at super low calorie counts. Recent research shows cucumber is effective in glycemic control and inhibiting oxidative and carbinol stress of diabetes. Cucumbers also protect your brain with an anti-inflammatory called fisetin which improves memory and protects nerve cells from age-related decline. Polyphenols in cucumber are known to fight heart disease and certain types of cancers. In addition, fresh cucumbers contain cucurbitacins A, B, C, D and E. All of these have been shown to play significant roles in blocking cancer cell growth pathways. Tonic to the digestive system and skin, cucumbers support healthy digestion, manage stress and help us maintain a healthy weight. Ginger is a powerful digestive system support, soothing to the stomach, prevents nausea and can stop vomiting (anti-spasmodic). It also helps regulate blood sugar levels. Super anti-inflammatory, anti-oxidant effects have made ginger famous for being more effective than arthritis medication at relieving arthritis pain and safer than aspirin for preventing heart disease! Ginger strengthens the heart, increases circulation and supports the venous system. It has been recognized as a healing plant for over 5000 years, most notoriously as a cure for impotence since the time of Alexander the Great. Lemons stimulate digestion, and reduce inflammation. Lemonins and limonoid in citrus fight cancer of the skin, mouth, breast, lung and colon. These compounds promote optimal health and can be readily absorbed by the body. Limonins from citrus fruits can protect against carcinogens in the body for up to 24 hours and are extremely bio-available in citrus fruits where they are bound to sugars which the body can easily digest to absorb the limonins. It appears that limonin may also reduce cholesterol and may aid in prevention and reduction of symptoms of certain types of arthritis. Start Building Your Own Juice Recipes! Now that you’ve discovered all these powerful truths about healing juice recipes, don’t let this be the end of it for you. let it be the beginning! You have such a wealth of knowledge now that you know exactly what the power of these ingredients is, and you can put it to work for you starting right now. Whether you are making up new juice recipes or using the ones here to get you started, you have stepped on to a new road to improved energy, vitality and health. Go ahead and give your body the benefit of a new rich source of all the deep healing nutrition it needs to thrive. Awesome ..Pleased to follow you on the social media..Also pleased to sign up for your Newslettr..